My husband loves chili but he's usually the only one that eats it and I always felt like it was a bit of a waste to prepare a whole crock pot full of chili for one person. We've tried various recipes over the years and I'm always looking for new ways to make chili more enticing. A few weeks ago we had chicken fajitas for dinner and we had a lot of the chicken/ green pepper/ onion mixture left over with all of the seasonings. I knew I didn't want to throw it away and thought I might be able to use it to come up with a new chili recipe. Voila! The Chicken Fajita Chili was born. We have a nice small crock pot that was perfect to set the chili in for the day but you could easily prepare this in a medium sized pot. Since my chili recipe was thrown together using a lot of leftover ingredients all amounts are approximate. First I combined our leftover chicken, mushrooms, green pepper, onion and fajita mix together with the corn and all the beans beans. Stirring until everything was well combined. Next I added in the can of tomato paste and chili powder. After it had simmered on low for the whole day we served up bowl fulls of chili and served them with honey cornbread muffins. It was delicious and I just loved that added fajita flavor and those big bites of chicken! Yummy! I am going on make this this week. My husband will love it. Oh good; so glad you found a new recipe to enjoy. This looks delicious! I am a newcomer to the whole chicken added to Mexican food thing (or any tomato-based dish, actually), but I am loving it! I'm not sure why I waited so long. I've printed this one out and will try it. Oh I love chicken with just about anything! Glad you're branching out and trying new things. I hope you enjoy this recipe. So good I could totally get down with this dish! I love the idea of this chili, like you, I am always looking for a twist. Can't wait to try it! So glad you liked it! Hope you enjoy it. What a fabulous idea! 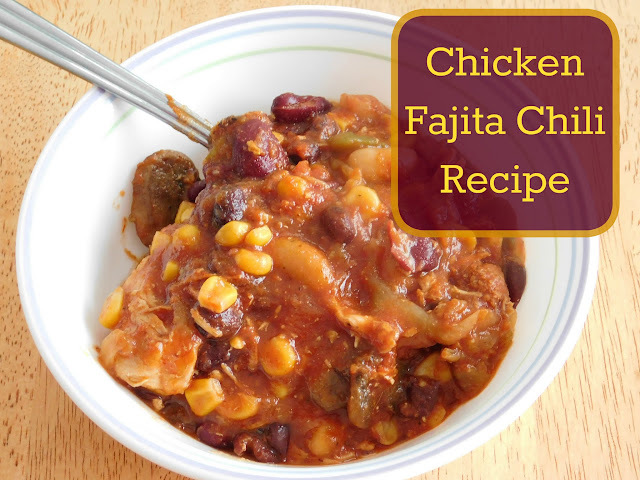 I love trying new twists on chili and this is a great way to use up the leftover fajitas in the process! Thanks for sharing at crocktober! 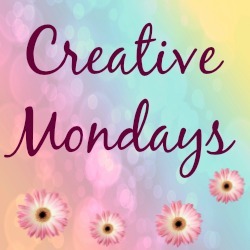 Thanks for sharing at Creative Mondays. Hope you can join us again soon. This soup looks and sounds wonderful! I love soup year around, especially for lunches. Can't wait to try this! Thank you! I like soups and stews too; a nice hearty lunch to keep me filled until dinner. Your Chicken Fajita Chili looks delicious, we will really enjoy it! Thanks so much for sharing with us at Full Plate Thursday and hope you are have a great week! Thanks. It was a combination of flavors.